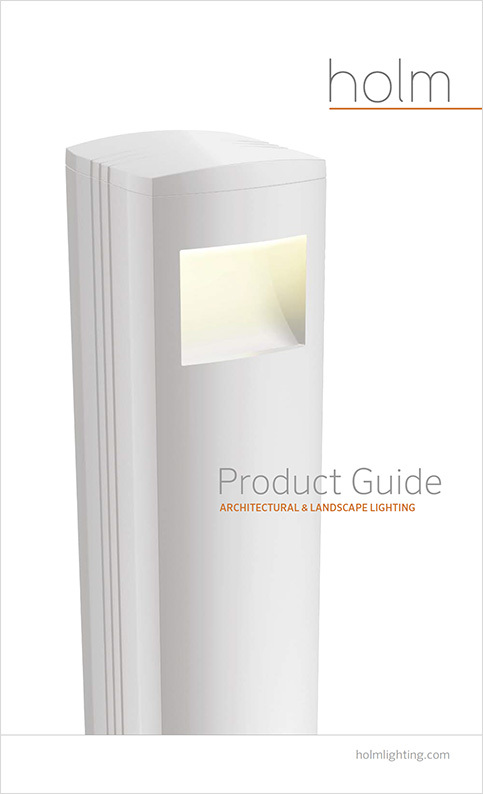 The Holm Product Guide for Architectural & Landscape Lighting features our entire product offering, from line-voltage architectural luminaires to the ZDClink™ controller. Use this guide to reference product families, available finishes, lumen outputs, product features, and more. This is your pocket guide to all of Holm. 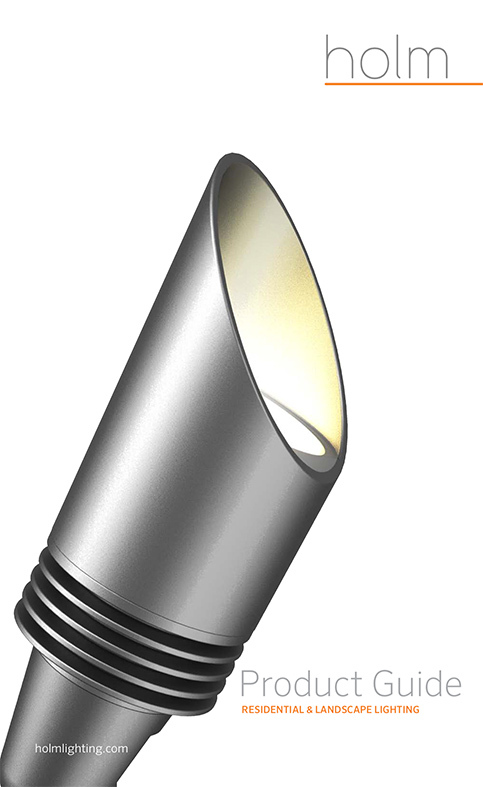 The Holm Product Guide for Residential & Landscape Lighting features product families hand-selected for residential lighting projects, from Luxor®-based low-voltage luminaires to compatible accessories. Use this guide to reference product families, available finishes, lumen outputs, product features, and more. This is your residential pocket guide to Holm.